One of the finest golf courses in the Midlands, opening in 1978 Kilton Forest Golf Course has gained an excellent reputation as an established parkland course and boasts an all year round facility, with exceptional course drainage due to its sand base. The 18 hole par 72 course (6,231) is both challenging and friendly to experienced and novice golfers alike. Visitors are most welcome and can warm up before play on a superb large landscaped putting green and chipping area. A warm welcome is always on hand from within the professional shop, where our fully qualified PGA professional and his PGA golf assistant will assist you with any questions, club fittings, coaching or simple advice regarding the game or the course. A fully stocked shop offering very competitive prices on the latest brands is always available. A fully re-furbished (completed in 2014) friendly clubhouse is available for hot and cold drinks as well as offering hot and cold snacks too with free WIFI and full sky sports TV package. 8 golf buggies are available for hire each day to enhance that golfing experience. You can be assured that you will be greeted with a very friendly welcome offering very competitive golf memberships and packages that are very difficult to be beaten. 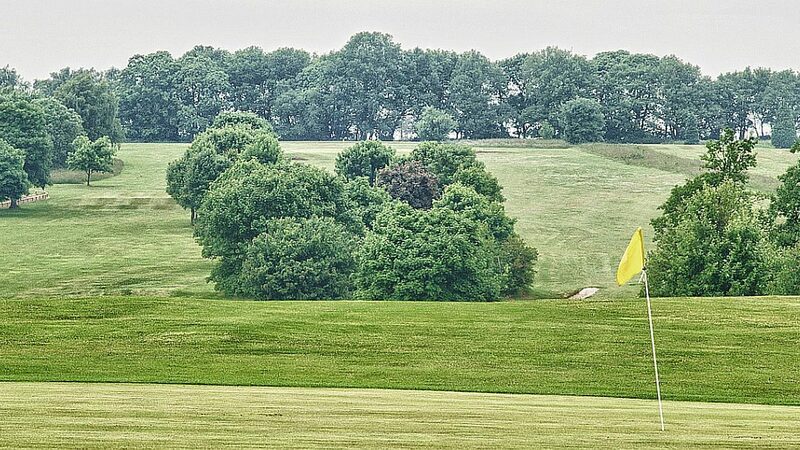 Kilton Forest Golf Course is located just 4 miles from M1 (junction 30). We are sited on Blyth Road (B6045) opposite Bassetlaw District General Hospital. Free ample parking available on site. Large practice putting green with chipping area and buggy hire available.